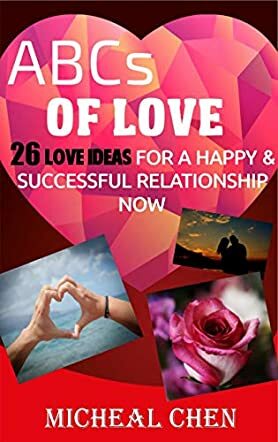 ABCs of Love: 26 Love Ideas for a Happy & Successful Relationship Now by Michael Chen is an uplifting book that presents the ABCs of fulfilling and successful relationships in alphabetical order. The book also helps in taking a relationship to the next level of happiness and success. Readers learn about the beginning of any beautiful and meaningful relationship, what a love expression means, what destroys relationships, how to deepen relationships, and much more. For those who want to see their relationships develop and flourish, this book is helpful as it has all the tools to make it happen. No relationship is perfect, but the best ones are always delightful and positive and the author’s techniques are useful in making it so. The author handles a relevant topic in an entertaining manner and the suggestions and advice are simple and easy to incorporate into daily lives, especially for those who are in committed relationships and those who want to have meaningful and happy relationships. I like the way the author has handled the topic, in a methodical and extensive way and in alphabetical order. The book is good for gifting to loved ones so that they can understand the language of love better and work towards making their relationships happier. The book can be used for immediate reference when it comes to keeping a relationship alive and active. The author encourages readers to apply the tips one at a time so that they make a positive start in enhancing their key relationships.